Lucid dreaming can be a powerful therapeutic tool. When your consciousness can recognize that it is dreaming, then it has the power to shape the dream environment. You are then able to create a dream which is able to solve problems for you. Dreams can be used to create new adventures. You can even use a lucid dream to have a conversation with your loved ones: past, present, or future. There are several methods which allow you to achieve a lucid dream at night. Devices, supplements, and lucid dreaming courses all offer the promise of being able to achieve your first lucid dream, often in 3 weeks or less. Like most products, there are some excellent items on the market today that really do help you achieve a lucid dreaming experience. There are also some products that may be best to avoid. 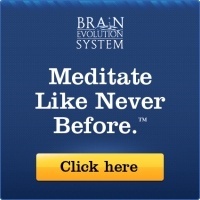 Below, you will discover the best lucid dreaming device to use to help you achieve this dream state. You will find one of the best lucid dreaming supplements to take. And you will also find the best course for lucid dreaming that offers a strong potential for fast results. These reviews are based on my personal experiences with the products involved. Because lucid dreaming is a personal experience, it is important to note that the results you or anyone else is able to get may be different. I too have tried different lucid dreaming products in the past. Some of them have had great reviews and they just didn’t work for me. These did, which is why I wish to share my personal experiences with you. What Is the Best Lucid Dreaming Device? Here’s the thing. Trying to wake up to have a lucid dream can be a tough ask of anyone. You must set your alarm, trust that you’ll wake up, and then trust that you’ll be able to get back to sleep. If you have a Circadian rhythm which wants you to get out of bed, then going back to sleep is nearly impossible. What if there was a way to induce a state of “almost” wakefulness? That is the question that the InstaDreamer attempts to answer. It works in two ways: by reminding you to make reality checks during the day; and by vibrating while you sleep at night to trigger a state of lucid dreaming. It is able to detect your sleep patterns by monitoring your heart rate, body temperature, and body movements while you are sleeping. These parameters are a strong indication that you’re in a REM sleep cycle. That means you don’t need to wear headbands of eye masks while you sleep, like other lucid dreaming products. 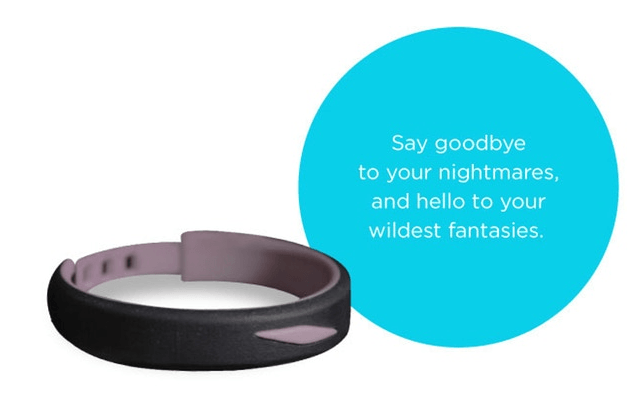 You get to wear something that looks and feels like a fitness tracker instead. You wear the InstaDreamer throughout the day. It can be set to vibrate on a strength you prefer, up to 8 times each day. This creates a reminder for you to check on reality. That is important. When you get into the habit of checking on reality during the day, it becomes a habit for you in your dreams as well. Then, when you’re wearing the InstaDreamer at night, the vibration it sends creates the urge for a reality check while dreaming. That is how it is able to trigger a lucid dream. There is a good chance that you’ve already experienced a lucid dream using similar methods without realizing it. Have you ever fallen back asleep after your alarm went off and had sounds from the room enter your dream? What about a time when you fell asleep watching a television show or movie and had elements from the program enter your dream, making it feel real? These occasions are the beginning of a lucid dream experience. The goal of InstaDreamer is to help you take the next step where you have full control over your dream. That happens when you can recognize you are in a dream state. What makes InstaDreamer the best lucid dreaming device is that instead of relying on technology, it relies on human psychology. Once you get into the habit of checking for reality, you can make lucid dreaming become a reality through proven principals and methods. There are no hidden fees or costs or ongoing spam with this product either. It is one of the most transparent developments in lucid dreaming that has been introduced to the market. I think you’ll be just as intrigued about this product as I am. What Is the Best Lucid Dreaming Supplement? For some people (me included), performing reality checks on a frequent basis isn’t always enough to trigger lucid dreaming. That is why I have begun to include Claridream PRO as part of my lucid dreaming routine. Claridream PRO is an all-natural supplement which encourages a greater GABA release. It also reduces acetylcholine breakdowns during the sleeping process. These two actions combine to create a dream state that is both clear and colorful. Never take Claridream PRO if you are allergic to any of the components it contains. People with certain health conditions should avoid taking this product as well. It is not for use if you are taking any prescription medications. Women who are pregnant or breastfeeding should not take this product either. It is not intended for use by anyone under the age of 21. There are five key ingredients, lucid dreaming herbs, that you’ll find in Claridream PRO which provide the boost in dream states. The first is passion flower. The berry-like fruits of the passion flower have been used in folk remedies since the Aztecs. When used appropriately it creates anxiety reductions, reduces insomnia, and quiets the central nervous system. 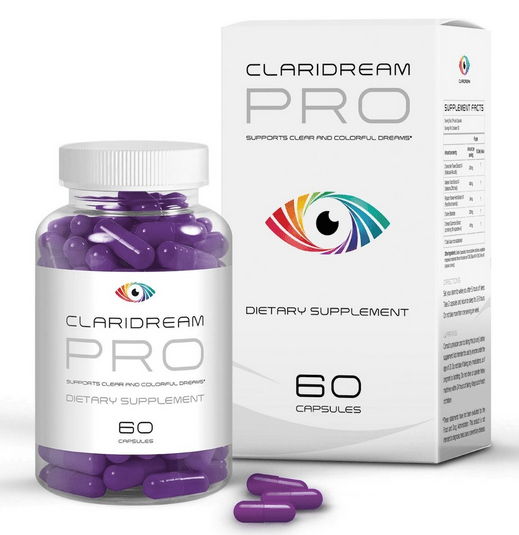 Claridream PRO uses a high-quality extract of passion flower which contains 4% flavones. The second ingredient is Valerian root. Hippocrates was one of the first to introduce this item into the world of medicine. It helps the dreaming process because it stops the enzyme which eliminates GABA from your body. That creates higher GABA levels, which reduces restlessness and problems with achieving sleep. Claridream PRO uses a 0.8% Valerenic acid extract to include this benefit. The third key ingredient is chamomile. A cup of chamomile tea is a common home remedy for trying to get to sleep. Now that benefit can be found in Claridream PRO. A 1.2% apigenin is used with this product to encourage a faster transition toward a dream state. The fourth ingredient is Chinese club moss. Although the western world is just getting to know this ingredient, it has been part of traditional Chinese medicine for thousands of years. You might also know it as Wolf’s Claw. What makes Chinese club moss a key ingredient is that it contains high levels of Huperzine-A, which acts as an acetylcholine inhibitor. This helps to produce a dream state with clarity, which can then be transformed into a lucid dream. The final ingredient is choline bitartrate. This is a common ingredient that you’ll find in muscle-building supplements. It is also likely present in the foods you already eat. You will find high levels of choline in broccoli, salmon, eggs, and similar foods. In 1998, the National Academy of Medicine classified choline as an essential nutrient. When taken in Claridream PRO, choline acts as a precursor to acetylcholine production. It encourages a dream state that is enhanced and prolonged. That creates more opportunities for lucid dreaming. What I have found is that Claridream PRO works best for me when I’m also keeping a dream journal. I like to keep a notepad next to my bed. When I wake up, I write down everything I can remember about what I’ve just dreamed about. That journaling process takes about 5 minutes to complete. When combined with the reality checks, over time, I have gotten to the point where I can have a lucid dream pretty often. It wasn’t always that way. At first, my lucid dreams were sporadic and unpredictable. Once I grew accustomed to them and how to have them, it began to be easier to control the entire process. Even if the journaling process doesn’t help to trigger a lucid dream, it can be helpful in other ways. I have found that dream tracking helps me to be more creative. It has also helped me find themes in my dreams. This allows me to be more in-touch with my emotions in the moment. Over time, that has created stranger, more vivid dreams that have been quite profound. ​My hope is that it can do the same for you as well. What Is the Best Lucid Dreaming Course? 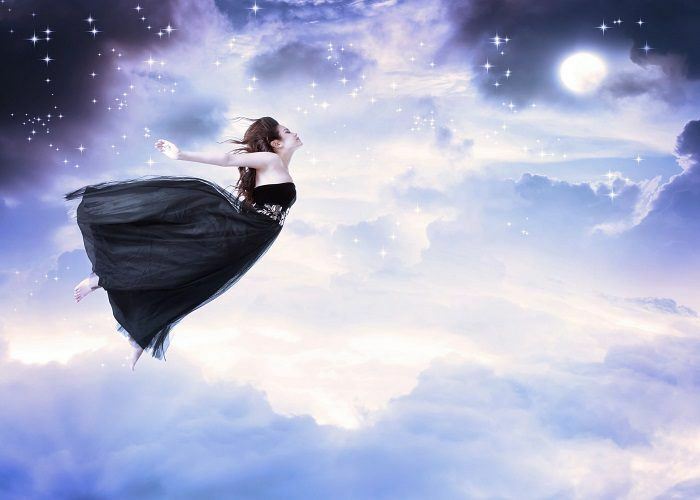 If you’re just starting to explore the many benefits of lucid dreaming, you have three options: rely on bloggers, take a course, or do the research on your own. I’ve found that when it comes to lucid dreaming, a lot of people tend to say what they think you want to hear. They have their own reasons for doing so. Some are even trying to be helpful. At the end of the day, however, the information you’re presented is more about them than it is about you. As for lucid dreaming research, it is a field of study which hasn’t received much attention over the years. There was a 2009 study which sought out electrophysiological correlates for lucid dreaming. A 2013 study took a look at the neurobiology of lucid dreaming and its clinical implications. There is a 2016 study which looks at the control of lucid dreaming through the lens of psychosis. A 2017 study looked at the performance of techniques being used to achieve a lucid dream, rating the methods that the study participants found to be most helpful in order. And a 2018 study looked at how psychopathology is inversely related to the intensity of a lucid dream, but not its frequency. If you’re like me, you would take a look at the research findings, then attempt to duplicate results on your own. To be fair, the information found in those research studies was helpful. It opened my eyes to the world of lucid dreaming and its full potential. I also found myself lacking any definitive steps that I could follow to help my skills in this area begin to progress. That is when I began to seek out the best lucid dreaming course to meet my needs. You will find dozens of courses that are designed to help improve the lucid dreaming experience. I found that Lucid Dreaming Fast Track was the most helpful for me. What stands out in this course is its overall structure. It presents in a clear way the steps you need to take in order to start lucid dreaming. It is divided into three specific phases. Phase #1 provides the “priming” portion of getting ready for a lucid dream. ​It provides you with information about different levels of lucidity, how to record your dreams, and how to be more self-aware. I particularly like the 61-point relaxation technique that is offered in Phase #1. It is designed to prepare you for wake-induced lucid dreams. I’ve also found it to be helpful when getting ready to meditate or relax after a tough day. 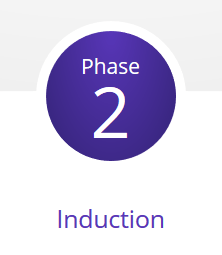 ​In Phase #2, you begin to learn about how to induce a lucid dream. The three primary methods of induction are presented in this phase: the Mnemonic method, the Waking Method, and the Wake Back to Bed method. One of the scariest elements of lucid dreaming is called sleep paralysis. You may find that when you begin to develop your lucid dreaming skills, there are times when you fully wake from the dream instead. Your body may not be ready to be fully awake before your brain is. ​For some people, the state of sleep paralysis can also trigger nightmares. This course provides you a solution that is very helpful if you recognize yourself in this state. Thankfully, I have yet to experience this issue with my lucid dreaming efforts. I keep the positive affirmations at the back of my mind, however, should I need them. The second phase also covers false awakenings, how to exit a dream, and what your nightmares might be trying to communicate with you. In Phase #3, you begin the skill-development process. You’ll be shown how to stay in a state of lucid dreaming once you can enter that state. You get to know the essential dream controls you’ll need to maximize the impact of each lucid dream you have. It shows you how to summon specific characters in your dream and how to seek wisdom. The third phase even shows you how to set dream goals for yourself. ​​The value provided in all three phases is excellent, even if you just want to know more about your own dreams and don’t wish to pursue lucid dreaming. It is a lengthy course. I would recommend taking about one week to fully process all the information contained in a single phase. I would also recommend trying the different lucid dreaming techniques to see which one works the best for you. I have found that the wake-induced lucid dreams are easiest for me, especially when combined with supplements and devices which encourage the dreaming processes to start. Are You Ready to Begin Your Lucid Dreaming Journey? Lucid dreaming is one of those skills that you develop over the course of your life. Even with the best lucid dreaming devices, supplements, and courses helping, it is a process which is never really complete. That may be frustrating to some. For me, it is just one element of a fun exploration experience. Every lucid dream, even the ones that are brief and seem almost meaningless, takes us one step closer toward our overall dream goals. Each offers a new insight into who we are and where we wish to be one day. I have found that, with the help of products like these, it is possible to be more aware of the world of reality around me, even as I work to explore the world of dreams at night. ​That's why I suggest you take a deeper look into these products to explore your own lucid dreams in the shortest amount of time.